Synonymous with perfume due to its unique fragrance, lavender has been used for thousands of years for both its pleasant smell and ability to promote calmness and relaxation as well as better sleep. It has been used for thousands of years by ancient civilizations such as the Egyptians and Romans as both a perfume and a health supplement, having the ability to not only calm and relax but, when taken internally, actually help manage anxiousness itself. Lavandula angustifolia, more commonly known as lavender, is a flower which comes from the Lavandula family of flowering plants. Known for its powerful and pleasant fragrance, lavender has been used for thousands of years as both a perfume and for its many health benefits. 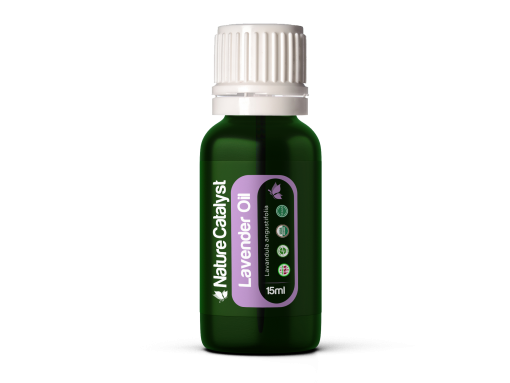 As a sleep aid: After a long day, rub Lavender on your neck or chest for a warm, soothing sensation. For anxiety: Take a few drops internally to reduce feelings of anxiousness. To soothe skin irritations: Pour a few drops on the affected area to soothe and heal. As a fragrance: Place several drops in a spray bottle with water and spray liberally throughout your home for a soft, pleasant flowery smell. Even as a cooking aid: Lavender is commonly used as a cooking aid, particularly for baked goods and desserts.